Owning and caring for horses can be an expensive business. 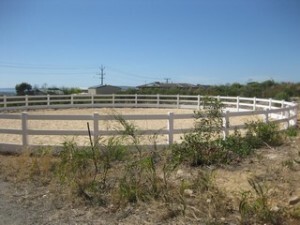 PVC is not just an affordable, attractive post & rail fence system, but its innovative design and safety features work to reduce unnecessary injury to both horse and rider, and your fence. Made from high strength PVC, PVC Post & Rail fencing looks just like traditional timber post & rail, but offers a number of distinct benefits you won’t find with standard fencing. Against installation faults or material defects. 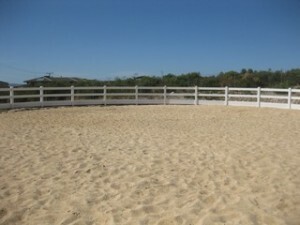 The unique fabrication and in-built memory of this fence allows it to give and spring back into place reducing the potential for injury to horse and rider, while maintaining its shape and great looks. With no painting or chemical treatments required, your horse is not exposed to potentially harmful products – especially those horses prone to cribbing or windsucking. PVC fencing is also resistant to chipping, warping and splitting offering further protection to your four-legged friends. PVC Post & Rail fencing is UV stable so it won’t deteriorate when exposed to the harsh Australian climate, eliminating the need for re-painting or replacing due to weakening. The PVC construction also makes PVC termite proof. Should repair be necessary, the product can be easily disassembled and new components slipped into place. The hollow-core construction makes PVC components light and portable, so installation is quick and easy. This hard-wearing PVC fencing combines strength and flexibility to create a durability not found in timber. PVC provides an affordable, long-term and hassle free alternative to traditional post & rail solutions. For more information about this innovative product designed and made for Australian conditions, get in touch with Pelican Panels on 8384 2736. We provide prompt quotes for pricing and installation, backed by great after sales service and advice.